Aristotle was referring, in his Nicomachean Ethics, to an attribute called practical wisdom – a quality that many modern engineers have – but our western intellectual tradition has completely lost sight of. I will describe briefly what Aristotle wrote about practical wisdom, argue for its recognition and celebration and state that we need consciously to utilise it as we face up to the uncertainties inherent in the engineering challenges of climate change. Necessarily what follows is a simplified account of complex and profound ideas. Aristotle saw five ways of arriving at the truth – he called them art (ars, techne), science (episteme), intuition (nous), wisdom (sophia), and practical wisdom – sometimes translated as prudence (phronesis). Ars or techne (from which we get the words art and technical, technique and technology) was concerned with production but not action. Art had a productive state, truly reasoned, with an end (i.e. a product) other than itself (e.g. a building). It was not just a set of activities and skills of craftsman but included the arts of the mind and what we would now call the fine arts. The Greeks did not distinguish the fine arts as the work of an inspired individual – that came only after the Renaissance. So techne as the modern idea of mere technique or rule-following was only one part of what Aristotle was referring to. Episteme (from which we get the word epistemology or knowledge) was of necessity and eternal; it is knowledge that cannot come into being or cease to be; it is demonstrable and teachable and depends on first principles. Later, when combined with Christianity, episteme as eternal, universal, context-free knowledge has profoundly influenced western thought and is at the heart of debates between science and religion. Intuition or nous was a state of mind that apprehends these first principles and we could think of it as our modern notion of intelligence or intellect. Wisdom or sophia was the most finished form of knowledge – a combination of nous and episteme. Aristotle thought there were two kinds of virtues, the intellectual and the moral. Practical wisdom or phronesis was an intellectual virtue of perceiving and understanding in effective ways and acting benevolently and beneficently. It was not an art and necessarily involved ethics, not static but always changing, individual but also social and cultural. As an illustration of the quotation at the head of this article, Aristotle even referred to people who thought Anaxagoras and Thales were examples of men with exceptional, marvelous, profound but useless knowledge because their search was not for human goods. Aristotle thought of human activity in three categories praxis, poeisis (from which we get the word poetry), and theoria (contemplation – from which we get the word theory). The intellectual faculties required were phronesis for praxis, techne for poiesis, and sophia and nous for theoria. It is important to understand that theoria had total priority because sophia and nous were considered to be universal, necessary and eternal but the others are variable, finite, contingent and hence uncertain and thus inferior. What did Aristotle actually mean when he referred to phronesis? As I see it phronesis is a means towards an end arrived at through moral virtue. It is concerned with “the capacity for determining what is good for both the individual and the community”. It is a virtue and a competence, an ability to deliberate rightly about what is good in general, about discerning and judging what is true and right but it excludes specific competences (like deliberating about how to build a bridge or how to make a person healthy). It is purposeful, contextual but not rule-following. It is not routine or even well-trained behaviour but rather intentional conduct based on tacit knowledge and experience, using longer time horizons than usual, and considering more aspects, more ways of knowing, more viewpoints, coupled with an ability to generalise beyond narrow subject areas. 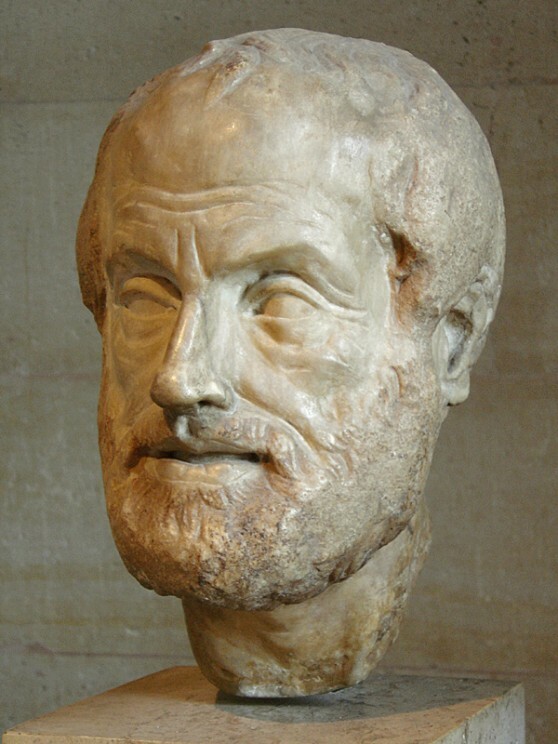 Phronesis was not considered a science by Aristotle because it is variable and context dependent. It was not an art because it is about action and generically different from production. Art is production that aims at an end other than itself. Action is a continuous process of doing well and an end in itself in so far as being well done it contributes to the good life. Christopher Long argues that an ontology (the philosophy of being or nature of existence) directed by phronesis rather than sophia (as it currently is) would be ethical; would question normative values; would not seek refuge in the eternal but be embedded in the world and be capable of critically considering the historico-ethical-political conditions under which it is deployed. Its goal would not be eternal context-free truth but finite context-dependent truth. Phronesis is an excellence (arête) and capable of determining the ends. The difference between phronesis and techne echoes that between sophia and episteme. Just as sophia must not just understand things that follow from first principles but also things that must be true, so phronesis must not just determine itself towards the ends but as arête must determine the ends as good. Whereas sophia knows the truth through nous, phronesis must rely on moral virtues from lived experience. In the 20th century quantum mechanics required sophia to change and to recognise that we cannot escape uncertainty. Derek Sellman writes that a phronimo will recognise not knowing our competencies, i.e. not knowing what we know, and not knowing our uncompetencies, i.e. not knowing what we do not know. He states that a longing for phronesis “is really a longing for a world in which people honestly and capably strive to act rightly and to avoid harm,” and he thinks it is a longing for praxis. In summary I think that one way (and perhaps the only way) of dealing with the ‘wicked’ uncertainties we face in the future, such as the effects of climate change, is through collaborative ‘learning together’ informed by the recognition, appreciation, and exercise of practical wisdom. Professor Blockley is an engineer and an academic scientist. He has been Head of the Department of Civil Engineering and Dean of the Faculty of Engineering at the University of Bristol. He is a Fellow of the Royal Academy of Engineering, the Institution of Civil Engineers, the Institution of Structural Engineers, and the Royal Society of Arts. He has written four books including Engineering: A Very Short Introduction and Bridges: The science and art of the world’s most inspiring structures. The Very Short Introductions (VSI) series combines a small format with authoritative analysis and big ideas for hundreds of topic areas. Written by our expert authors, these books can change the way you think about the things that interest you and are the perfect introduction to subjects you previously knew nothing about. Grow your knowledge with OUPblog and the VSI series every Friday, subscribe to Very Short Introductions articles on the OUPblog via email or RSS., and like Very Short Introductions on Facebook.